This has been a very special concert in ways in which most of you are probably unaware. Everything about this concert is permeated with science. I, myself, am an expert in insects. The entire orchestra is made up of scientists and physicians. Indeed, you may well know that “doctor’s symphonies” exist in most major cities in the United States. But most importantly, all of the composers whose music we have played tonight also have ties to science. Herschel was perhaps the most famous astronomer of the early nineteenth century and some of his compositions have recently been recorded on the Newport Classics label. Berlioz was a practicing physician; Borodin was a Professor of Chemistry who pursued two professional careers simultaneously throughout his life; Ansermet trained as a mathematician and taught mathematics at the University of Lausanne before turning his attention solely to music. Iannis Xenakis is also a mathematician, who adds to his accomplishments those of a practicing architect, and he has written extensively on the interconnections between the arts and sciences. Elgar not only had a private chemistry laboratory, but actually filed a patent for a process for producing hydrogen sulfide. Bing is a cardiologist and medical researcher of international repute who has been awarded such international prizes as the Claude Bernard Medal for his scientific work. Root-Bernstein hypothesis that the apparent correlation between music and the sciences to be contradictory to Howard Gardner’s multiple intelligences theories, which are currently in vogue in education and academia. In contrast to Gardner, Root-Bernstein proposes that musical thinking is an advantage to scientific problem solving. I, on the other hand, believe that creative thinking is trans-disciplinary and transferable from one field to another. More specifically, I believe that musical and scientific abilities are what I call “correlative talents”. By correlative talents, I mean skills or abilities in several different areas that can be integrated to yield surprising and effective results. Skills associated with music–pattern-forming and pattern recognition, kinesthetic ability, imaging, aesthetic sensibility, analogizing and analysis–and indeed an understanding of music itself–have often been important components of the correlative talents of many famous scientists. One way to summarize my basic thesis would be to say that correlative talents represent harmonious ensembles of skills that enable musical scientists to “duet” better. His arguments are compelling, if largely anecdotal. The most interesting thing to me, however, is the idea that a scientific viewpoint might also be equally helpful for great musicians. While I can think of several professional musicians who are interested in sciences, there is a cultural belief in some circles that music is an Art (definitely with a capital A) and its goal is to reach that realm of the human experience that science just isn’t capable of understanding (according to them). Regular readers probably already know that I fall down on the side of science here. I’m a big science fan and have personally found a little scientific method applied to artistic problems are often quite helpful. What about your own interests and strengths? How many of you musicians have a science or math background? Do you make your living as a musician or do you have STEM career? Do you think that scientific thinking can be advantageous for musical creativity? A couple of days ago was the first full day of the Lindy Focus jazz dance camp. I picked up a guest pass for their music track classes and have been enjoying sitting in and watching Ben Polcer and his staff from Welbourne Jazz Camp (Jason Jurzak, Benji Bohannon, Aurora Nealand, Lucian Cobb, and Russel Welch) teach and play. Most of what they are covering deal with playing traditional jazz or swing for dancers, and many of the students here came for the dancing and are taking “add on” classes in music too. Others are here specifically for the music track, but many of those musicians are also dancers. Even though I knew to expect there to be musicians around at this dance camp, I was surprised to see how many of the dancers are also musicians and brought instruments to jam. Sessions seem to spring up pretty regularly and walked from one room to hear a crowd of musicians around a piano jamming on New Orleans jazz into another room where some folks were playing gypsy jazz and singing. There’s an overall sense in that making music, like swing dancing, is something that is supposed to be participatory, not separated into performers and audience. The staff really knows the music very well and are great at getting their points across, even in some of the larger classes with musicians of mixed abilities. They’ve been emphasizing learning tunes and concepts by ear yet at the same time teach the music theory. They also play for and with the students a lot. There are a couple of more days left in this year’s Lindy Focus, but my impressions at this point are that the first music track has been quite successful and has been definitely worth my effort to sit in on. Semi-professional and amateur musicians interested in traditional jazz would definitely get a lot out of this music track, if they decide to host the music track again for 2014. Tomorrow, December 27, 2103, this year’s annual Lindy Focus social dance conference will be taking place here in Asheville, NC. I ended up being booked to perform with the Jonathan Stout Orchestra at their New Year’s Eve dance this year and so ended up with a pass to the whole event. 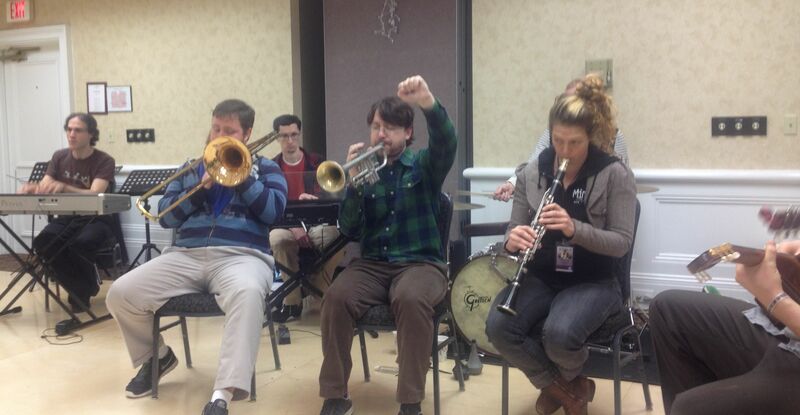 Since most of the dance classes are going to be (way) over my head as a swing dancer, I was excited to learn that this year there will be a music track as well for musicians interested in playing traditional and swing jazz for dancers. While I feel I have a good historical and stylistic understanding of these jazz styles, I know I’ve only scratched the surface. I expect there will something I can learn even while reviewing some things. I also thought it would be interesting to share some of the things I pick up over the next few days here. Ben Polcer will be running the music track this year. Ben sent out an email to the music track participants with some information on what to expect and also a request for each of us to bring one or two audio examples of our “favorite jazz songs” to share with the group. As a music teacher, I like this exercise because it can be a launching pad to all sorts of different discussions or exercises based on what the students bring in to play. You can get an idea of your students’ current interests and influences. My personal dilemma would be trying to narrow down my favorite jazz tunes to just a couple. Following the spirit of the conference my first thought was to grab a couple of recordings of Kid Ory and Jack Teagarden, two of my favorite trombonists from the early jazz style periods. Big band jazz, however, has always been most interesting to me, so I thought about bringing some Duke Ellington. I also even considered some Thad Jones, who as a more contemporary big band composer/arranger never forgot how to make his charts swing, even in the face of some quirky melodies and rhythms. As far as my favorite jazz trombone players I’d want to bring in J.J. Johnson, Carl Fontana, and Frank Rosolino (although it’s hard to limit to just those three). So I figure I’ll throw a mix of all those into a playlist and then have different options based on how the workshop progresses and what specific things get focused on. My question for you is how you would respond to the same prompt. What one or two jazz favorites would you bring? 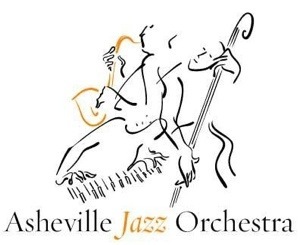 The Asheville Jazz Orchestra’s annual fundraiser concert is tomorrow night, Friday December 20, 2013. We’ve been performing our Stan Kenton Christmas for I think 7 years now. One of our most popular performances every year, the AJO will perform much of the Christmas big band charts arranged by Ralph Carmichael for Stan Kenton’s “Merry Christmas” album, released in 1961. We’ll also be performing some other Christmas music, including some I arranged specifically for this annual concert. If you’re in Asheville on December 20th this year come on out to our free performance. We’ll be raising funds this year for Hall Fletcher Elementary School. This Saturday evening, December 14, 2013, the Asheville Jazz Orchestra is back for our monthly show at the White Horse Black Mountain. If you’re in western North Carolina this weekend and looking to hear some big band jazz come on out. We always play a mix of charts ranging from standards if the Swing Era up through original charts by players I’m the band. This show we’ll also be sprinkling in some holiday charts to get everyone ready for the season. If you make it to our show please come say hello on our set break or after we play. ‘Tis the season for me to be very busy rehearsing and performing holiday concerts, so I apologize for the lack of posts lately. To tide you over until I can find some time for more original content, here is a neat video recording by pianist John Eidsvoog performing his arrangement of Leroy Anderson’s Sleigh Ride – in 7/8 meter. Very clever and well performed. Leroy Anderson originally got the idea for this composition during a brutally hot summer in 1946. 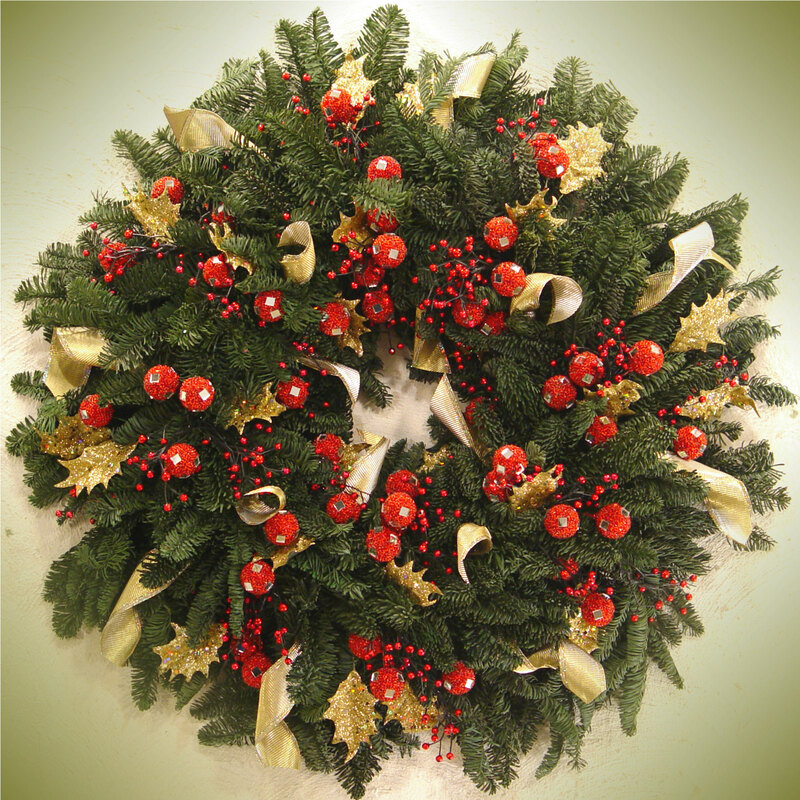 After its premier recording in 1949 by the Boston Pops Orchestra it has become a staple of holiday music in the U.S. In fact, I just conducting an arrangement of this piece with the Smoky Mountain Brass Band last night. By the end of this month I figured out that I will have performed this piece 7 times (once with the Land of the Sky Symphonic Band, three times with the Smoky Mountain Brass Band, twice with the Asheville Jazz Orchestra, and once with the Owen Middle School 8th grade band). Tip of the hat to James P. to finding this video.